Kaori Chiba’s recently published Japanese-language book The Day Heidi was Born is a long-overdue account of one of Japanese animation’s landmark works. 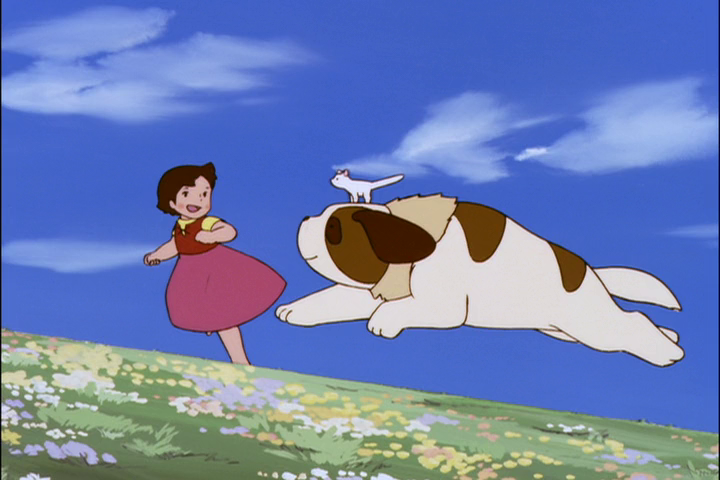 Made in 1974 in an attempt to cash in on the children’s literature niche suggested by the Japanese success of The Moomins, Heidi: Girl of the Alps brought together a dream-team of future anime greats. It offered a vital escape route for Isao Takahata and Hayao Miyazaki, who had fled Toei Animation for the ill-fated Pippi Longstocking project, and would match its rival Space Cruiser Yamato viewer-for-viewer in the ratings. It’s then that we move into the long-term Heidi project based on the books by Johanna Spyri, handily deceased since 1901, and already translated into Japanese on six separate occasions by 1974. Chiba deals with the anime’s planning, the shooting of its pilot, and the crew’s location hunt in Switzerland, wherein Miyazaki, Takahata and their long-term collaborator Yoichi Kotabe descend like dervishes on the farmhouse of a baffled local family, demanding to photograph their kitchen table and their cows. From Maienfeld, they head up to Ulm and Frankfurt, soaking up the metropolitan imagery for Heidi’s later adventures in Germany. Chiba devotes ample space to the production of the first episode – the scoring of the music, the theme song, and the auditions for the voice actors, the character designs and the backgrounds. It’s only towards the end of the book that her account takes a darker tone, drawing on the complaints of the staff, particularly Miyazaki himself in many later articles and interviews, that television animation was a brutal, relentless, unending task, gobbling up talent and time. The animators put their all into Heidi, only to find that television networks greet its manifest quality with an indifferent shrug. Plunged into debt, the studio was forced to restructure, taking on a new business manager, the infamous Yoshinobu Nishizaki, fresh from running the rival Space Cruiser Yamato. As I have noted elsewhere, the trend in late 20th-century anime criticism was for male historians to inadvertently favour their personal childhood experiences of boys’ TV shows, according a form of epistemological authority to Yamato that was only partly justified. Toe-to-toe with it on broadcast, Heidi gave as good as it got, to an audience largely of girls and their mothers, delineating in the process a paradigm for children’s entertainment that would lead to the two-decade run of the World Masterpiece Theatre franchise. But there’s also money in Miyazaki. Like miners scraping in the empty halls of a mountain, anime writers have exhausted the main seams of his feature films, and even now are poking around in the scree of his TV work. 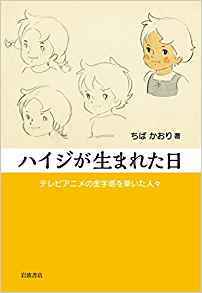 As demonstrated by Iwanami Shoten’s recent book on The Phantom Pippi Longstocking, researchers are even prepared to write about anime that never happened, secure in the knowledge that Miyazaki completists will be lured in by the behind-the-scenes gossip. However, Chiba’s book on Heidi ends by returning to Takahashi, the man who got it all started, with an account of his lesser works in his later career, and the long, long tail as Heidi earned out its debts abroad and in re-releases. Despite this, its footprint in the English language is minimal. 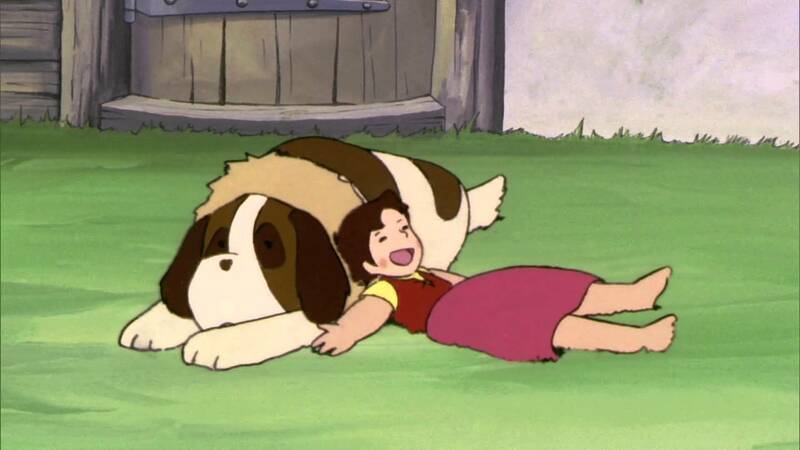 Heidi is known all around the world, in diverse dubs into everything from Arabic to the original’s native German, but few in the English-speaking world have had the chance to see it. And yet, as Chiba notes in her closing chapter, its creation was vital for understanding trends in 1970s anime and beyond: the creation of the World Masterpiece Theatre serials, a growing comprehension of the existence of a market for “girls’” anime, and ultimately, the foundation of Studio Ghibli.